More homeowners these days are planning kitchen remodels around a new island. 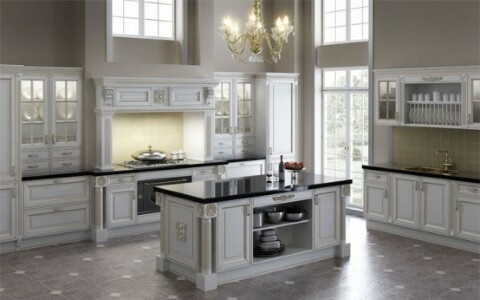 These are functional pieces of cabinetry for kitchens of all sizes for several reasons. At first glance youâ€™ll notice islands create a certain shape to the room that is very pleasing to the eye. Usually built with beautifully stained wood and a marble counter top that matches the rest of the kitchen color scheme, they help to break up the room and designate each zone. It also helps to direct traffic going in and out, allowing the cook to work in peace. Under the counter top is a blank canvas for drawers. Design them any way you need for your purpose. They are great for bulky tools like pots and pans, trash organizing and serving dishes. The main purpose is to create more room when preparing meals, but families make the most out of them, creating a gathering place. It can be an art studio for the kids, a breakfast bar, a stove top, an extra sink, or an office desk. Having a little extra space comes in handy to all. It can be used as a dinner table addition or a kidsâ€™ table for larger parties. Islands are a perfect addition for families and friends to socialize around. They are becoming customary staples more and more in the kitchen.